NEW Sara Lee Snacks Peanut Butter Crème Filled Cakes are Peanut + chocolate + snack cakes. Sara Lee® Snacks. These deliciously rich and moist chocolate snack cakes are made with a light and fluffy peanut butter crème filling and wrapped in a smooth chocolate coating. 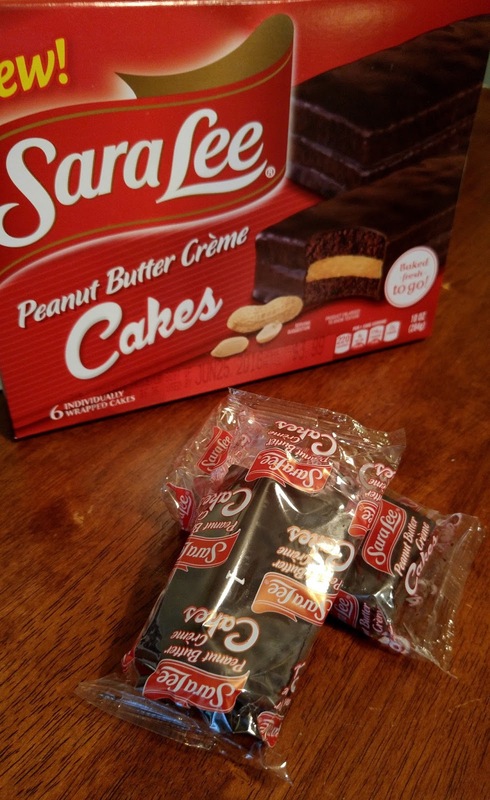 Starting in April in the Easter US, the new Sara Lee® Snacks Peanut Butter Crème Filled Cakes are made with real peanuts. Get ready for the kid in you to come out with the peanut butter and chocolate combo! Peanut butter filling sandwiched between two layers of moist, rich chocolate cake covered in chocolate is a chocolate and peanut butter lover’s dream come true. Make sure to have a glass of milk on hand! One lucky reader (US only) will win a Sara Lee prize package! The package includes the following: Two Boxes of Sara Lee® Snacks Peanut Butter Crème Filled Cakes, Five Sara Lee® Snacks Coupons valued at $4 each, and one custom Sara Lee® Snacks Travel Leisure Blanket valued at $15!